We could be looking at an all-bearded Final. Will Eric Hack keep our hopes alive tonight? 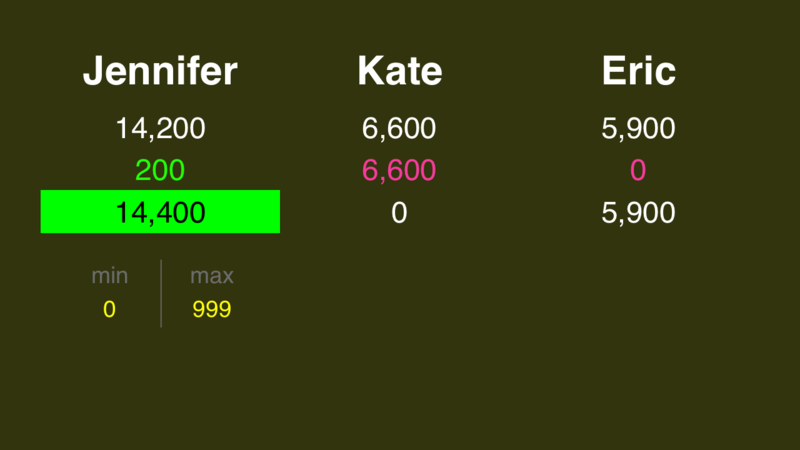 For the second night in a row, one player has it locked up, but it’s not Eric. I guess I have to shave now? 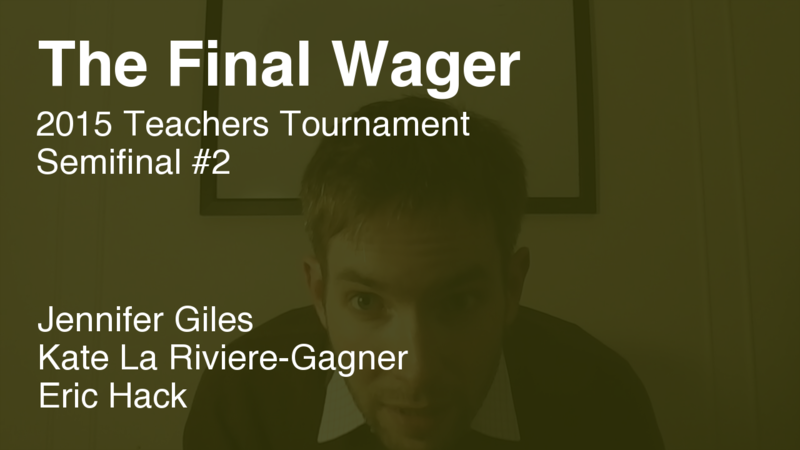 Following up on Monday’s By the Numbers post: Quarterfinal winners are 2/2 in the semifinals, but two wild cards will gang up on Colin “Titus Andronicus” O’Grady tomorrow. Let’s see if it’s a bloodbath. Thanks for the shout-outs! Appreciated your analysis and Addison County support! Hey, Kate! Congrats on a great run. Thanks for stopping by, and for reminding us that the game is supposed to be a lot of fun.